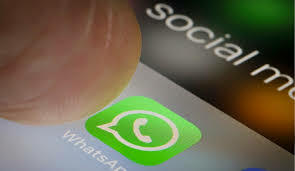 WhatsApp is all set to bring a number of new features to its Android application, which have been previewed in just released 2.19.106 beta version. The new WhatApp beta version is now rolling out the participants of the app's beta programme via Google Play Store. It brings a new user interface (UI) for the WhatsApp Doodle feature as well as ability to block screenshots in conversations. While the WhatsApp Doodle UI is now accessible to beta version users, the screenshot blocking support will reportedly go live alongside the biometric authentication.